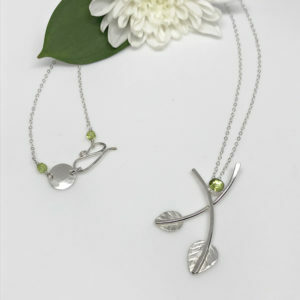 Get the trend, wear the trend while still being distinctly you with this One-of-a-Kind-necklace. Want to stand out and get noticed...wear the latest trend but still be you? This is that piece! 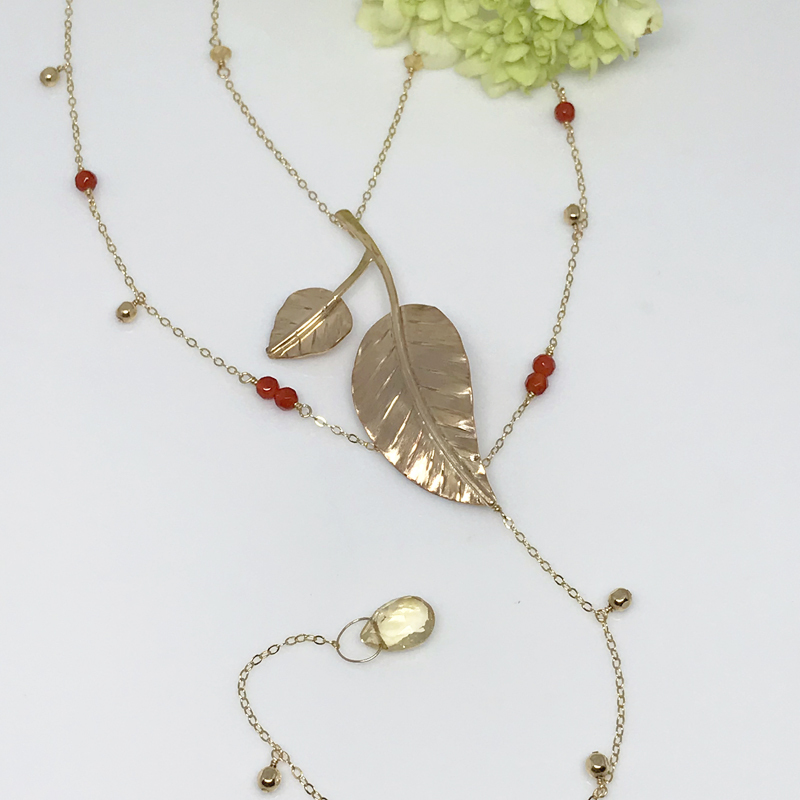 Express your personal style with this fabulous, One-of-a-Kind layered gold leaf necklace. Layered gold double leaf necklace. Two leaves fall from golden branches. Both of which are hand forged and etched from gold filled metal. 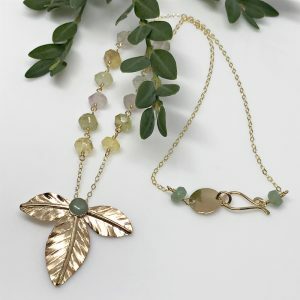 These leaves gently sway from two layers of delicate gold filled chain. One of the necklace layers is adorned with petite citrine gemstones. Not only are they a softly hued yellow but they’re translucent and multi-faceted as well. Accenting the other layer are the most magnificent, dark orange carnelian gemstones, not to mention the gold bead dangles. 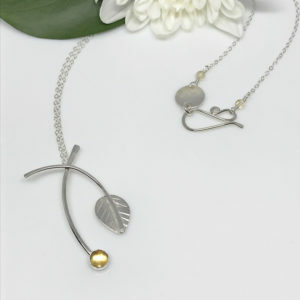 Another strand of dainty gold chain trails from the leaf pendant. Gold bead dangles and a gorgeous citrine teardrop gemstone embellish this chain. Similarly, the clasp is also hand forged and textured from gold filled metal. 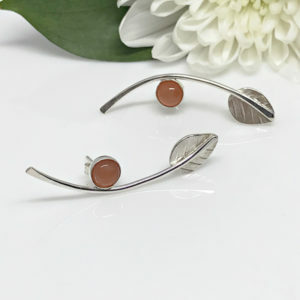 Citrine and carnelian stones accent the clasp.